Have you ever wonder why self-storage rates among big brand operators are expensive? Been bombarded with confusing offers of 50% off for 8 – weeks and move in for a £1. The psychology behind that is quite simple, most people stay longer in storage facilities than they actually planned, while you thought you have a great offer, the self-storage operators are also hoping that you will be staying longer than you’ve planned, eventually rate gets reverted to the expensive weekly rate, is pay it forward. Life as we know it do not always go as planned, your initial offers has ended is payback time, rates are up honeymoon period is over, the best advice is to focus on the actual rate when the discounted period is over when making decisions and not to be tempted especially if you planning long term stay. If you type “Why is self-storage” into Google, it actually finishes the phrase with “so expensive.” There are multiple articles dedicated to this topic. So I don’t think it’s actually just a London thing, although it’s definitely worse in London simply because London as a whole is an expensive city. Even worst Self Storage Operators raise the rent constantly. Cost of Self Storage in London are absurd just like the house prices, some facilities especially located more centrally are no go. The self-storage industry is a “3-mile business” meaning 90% of customers live within 3 miles’ radius of the storage facility, once a storage facility within that radius hike up the rates they rest follows but is not all bad news. Is there any better storage options in the Market? 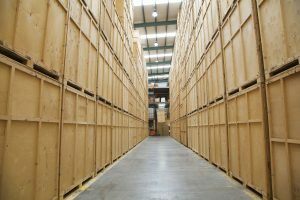 There are far better ways you can store at the fraction of the price hassle free collections from your home or office Cheap Storage London great alternatives to traditional self-storage method which is cumbersome and great inconvenience Do -IT – Yourself, and you can be sure the rates are constantly going up, this has been a big issue with self-storage operators. Have you ever wonder sitting in the comfort of your Home or Office with a cup of coffee and having someone do all the moving and storage for you? Mobile operators re-invented the way we store today flexible and hassle free collection right from your door. The answer is right here, the mobile storage companies such as Pick & Move will eliminate the frustration associated with self-storage process, free collection, Packing Services if needed, retrievals of goods stored as needed and delivered direct to your door without you having to visit storage facilities ever again. Even better the rates stay low throughout entire contract and the longer you store the less you pay when you renew a truly hard to beat storage deals.